Modern society requires the use of commercial trucks in California and elsewhere in order to ensure that we get the products and supplies we need. However, when the driver of a commercial truck engages in negligent or reckless behavior, the consequences to other drivers can be disastrous. If you were injured in an accident involving a commercial truck in Riverside, you may qualify for compensation. In 2016, nationwide, there were about 475,000 police-reported crashes involving large trucks, resulting in 3,864 fatal crashes. 22 percent of the large truck crashes in 2016 caused injuries. The majority (62 percent) of fatal truck crashes involved more than one vehicle. Truck accidents occur most often on rural roads. The vast majority of injury and fatal crashes involving large trucks occurred during the weekdays, Monday through Friday. 27 percent of all work zone accidents involve a commercial truck. In 83 percent of the fatal crashes involving large trucks, the fatality was not the person in the truck. The most common cause of large truck crashes in 2016 was speeding. Distraction was the second-most cause for accidents caused by truck drivers. Driver error, including driving while drowsy, driving distracted, and driving while impaired by alcohol or drugs. Commercial truck drivers also often face unrealistic expectations and schedules that may cause them to drive too fast for the conditions on the road. Poor vehicle maintenance, including worn brake pads or a cracked windshield. Inclement weather, particularly for drivers who are not prepared or adequately trained to drive in bad weather. According to an October 2018 report from CBS, authorities were trying to track down the driver of a big rig after a motorist’s dash cam caught him exhibiting road rage on a southern California highway. The dash cam shows footage of the truck driver striking and pushing an SUV into another lane on Interstate 405. The SUV struck another vehicle, but the accident was not catastrophic, the report noted. As reported in April 2018, by 23ABC news out of Bakersfield, family members of a couple killed just days before their wedding day in an accident with a commercial truck filed a wrongful death lawsuit. The couple was scheduled to get married on July 27, 2017, but died in the crash on Highway 58 near Highway 395, near Kramer Junction, on July 7. The crash occurred when the truck driver failed to slow for their vehicle and slammed into the back of it going about 55 miles per hour. The couple was riding in the back seat of the car at the time of the crash. The lawsuit named the company and the driver among its defendants. The driver of the truck was cited for speeding and the case was handed over to the District Attorney’s Office for review of possible vehicular manslaughter charges. In August 2017, as reported by NBC San Diego, the mother of a 6-year-old child seriously injured in an accident with a commercial truck filed a personal injury claim against the trucking company and the driver. The accident occurred on State Route 125 in La Mesa, when the truck drifted across two lanes of traffic and came to a stop in a jack-knifed position, trapping a vehicle in its path. In addition to the child, who might be permanently paralyzed due to the accident, five others were hurt and a mother and child were killed. The complaint did not list specific damages, but includes the emotional distress suffered by the injured child’s two-year-old sister, who saw the child’s traumatic injuries. In February 2018, according to a report from CVN, a California jury awarded a settlement of more than $52 million to two brothers who suffered traumatic brain injuries in 2014 when a semi-truck crossed the road’s center line and struck them head-on. The accident not only caused the brothers to suffer brain injuries, but also PTSD and serious injuries to their backs and arms. The award far surpassed the trucking company’s highest settlement offer of $11.5 million. In November 2018, the brakes on a big rig failed on northbound Highway 1, causing a 21-car pileup. According to a report from the Santa Cruz Sentinel, witnesses noticed the truck’s brakes smoking before the collision occurred. The tractor-trailer slammed into the back of one vehicle, causing both the truck and the vehicle to catch fire. The afternoon accident then involved the other vehicles, which were backed up due to traffic. The truck driver, who was injured in the accident, was properly licensed but had been previously cited for numerous violations, the report noted. The truck, which was fully loaded with a clay or dirt mixture, came up onto the vehicles while traveling approximately 30-40 miles per hour. It struck the center median before plowing through the 20 vehicles, traveling about 1,000 feet. Eleven people were injured in the accident, which involved a carload of elementary school-aged children who were attending a field trip. None of the children were among the injured. The truck was believed to be overweight at the time of the accident, and lost about 20 gallons of diesel fuel on the roadway. The section of roadway where the accident occurred is often congested, the report stated. The accident was reportedly one of the worst in Santa Cruz County’s history. The statute of limitations for filing personal injury claims in California is generally two years from the date of the injury. Claims filed after that time are generally not heard by the court, and the claimant’s right to compensation is lost. Claims against city, county, state agencies must be filed within six months after the date of the injury and must follow specific procedural rules in order to be heard. Your personal injury claim must be able to prove negligence on the part of another individual or entity. This is not always just the other driver. Other potential defendants in personal injury claims include the company that the commercial truck driver worked for, the individual or entity tasked with maintenance and repair on the truck, the entity who made or sold defective parts for the truck, other motorists who may have had responsibility for the accident, or the government agency tasked with maintaining the roadway. In order to prove negligence, you must be able to show the defendant owed you a duty of care, breached that duty through negligence, and that this breach was a substantial factor in causing you harm. 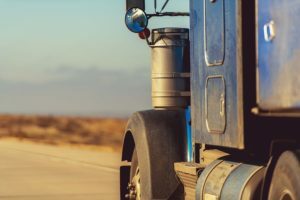 In motor vehicle accident cases, including those that involve commercial trucks, the duty of care that one driver owes to another is to operate their vehicle safely. According to state law, negligence is defined as something a reasonably careful person would not do in the same situation, and/ or the failure to do something that a reasonably careful person would do in the same situation. Damages that can be sought in a personal injury suit include economic damages, such as medical bills, lost wages, the cost of future medical treatments, and the loss of future earning ability. Non-economic damages can also be sought, including compensation for emotional distress, physical pain and suffering, disfigurement or disability, and—in wrongful death suits brought by a victim’s family members—loss of consortium or companionship. In high damage cases or those where the at-fault party displayed particularly reckless or negligent behavior, punitive damages designed to punish the at-fault party may also be ordered. Personal injury claims must be filed by the injured party or, if the injured party is under the age of 21, on their behalf. Wrongful death claims may be filed by family members of the deceased victim, including the spouse or domestic partner, children or stepchildren who rely on the decedent financially, parents who are financially dependent on the deceased, and other relatives including siblings, if no closer relatives exist. California follows the pure comparative negligence rule, meaning that if you are found to be at least partially responsible for the accident, your award will be decreased by the percentage of responsibility you bear. For instance, if you receive $10,000 in compensation for damages, but the jury finds you 20 percent responsible for the accident, your award would be reduced to $8,000. If you did not have insurance at the time of your accident, even if the accident was entirely the fault of the other driver, state law prohibits you from seeking non-economic damages, such as pain and suffering. The exception to this rule is if you are injured in an accident caused by a driver who is impaired by drugs or alcohol. In cases involving multiple defendants—a truck driver and the trucking company he or she works for, for example—each is equally responsible for economic damages such as medical bills or lost wages. However, each individual or entity is only responsible for non-economic damages, such as pain and suffering, in accordance with their own percentage of fault. Certain factors affect how much a claimant can recover from a personal injury suit. The nature and extent of his or her injuries, along with the medical prognosis, is one determining factor. Objective findings that support claims of physical pain, including X-rays or MRI scans that show injuries, can help to increase the value of the claim. A past medical history of issues involving the same part of the body in which the claimant has been injured may decrease the claim, as the defendant is not responsible for pain resulting from previous injuries unless it can be proven that the accident made a previous injury worse. If the claimant is of an advanced age, the defendant may argue that damages were caused by degenerative issues rather than the accident itself. If you have been injured in an accident in Riverside involving a commercial truck, you may be faced with severe injuries and a lot of questions about how you’re going to manage bills during your recovery. The process of negotiating with the insurance carrier of the at-fault party or filing a personal injury claim in court is complex and best handled by those with experience. A truck accident attorney from Aitken * Aitken * Cohn can help. We enjoy a strong reputation for our devoted, aggressive representation of our clients and our high-quality courtroom skills. We have extensive experience gathering the evidence needed to show that the other party was at fault, and presenting your case through settlement negotiations or trial in such a way as to help you to obtain the maximum amount of compensation available for your injuries. Email or call us today at (951) 534-4006 to schedule your free consultation and case review.